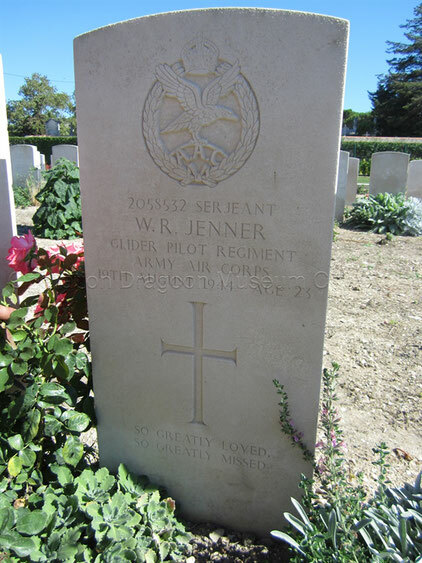 JENNER William H, Glider Pilot Regiment, August 19 1944 - Site de operationdragoon ! Note : Prior to volunteering for the glider pilot Regiment, Roy served with the royal engineers and the royal artillery. At the end of 1943 the glider pilot regiment departed Italy, but left behind a group of glider pilots who formed the independent Squadron. Roy became a member of this squadron. On 15th august 1944 he took part in the invasion of Southern France piloting one of the 35 Horsa gliders. 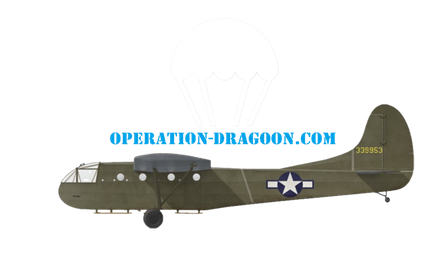 While approaching the landing zone near the town of Le Muy, his glider was hit by artillery fire. The glider crashed to the ground taking out a german gun post. Roy was killed as a result.